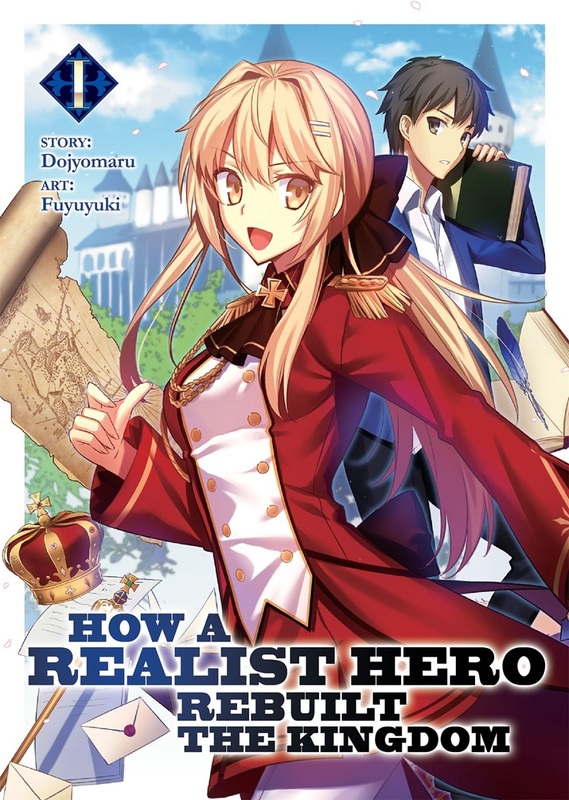 How a Realist Hero Rebuilt the Kingdom Novel Volume 1 features story by Dojyomaru and art by Fuyuyuki. When Kazuya Souma is unexpectedly transported to another world, he knows the people expect a hero. 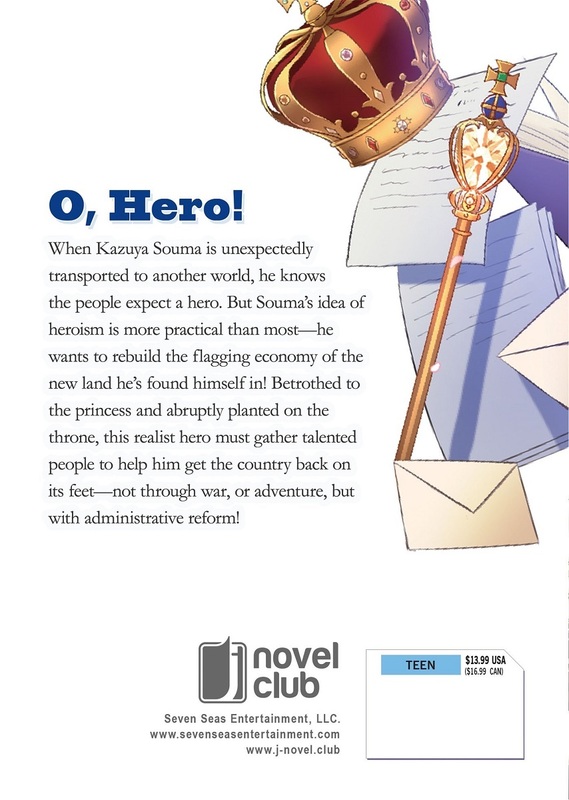 But Souma's idea of heroism is more practical than most--he wants to rebuild the flagging economy of the new land he's found himself in! Betrothed to the princess and abruptly planted on the throne, this realist hero must gather talented people to help him get the country back on its feet--not through war, or adventure, but with administrative reform! Definitely more of a thinker's book as there isn't much action, instead focusing on the interplay of economics, engineering, and politics. Highly recommended! You know, this sort of genre gets a lot of love. However, people should remember that there is a reason for that! This novel is very focused on the practical concerns of ruling versus the fantasy. The main character is that sort of aspiring bureaucrat that makes the world go round, but is forced to rule due to the incredible difference in practical skills he has versus the established king. And when I say practical, I mean practical. He will do anything to accomplish his tasks, disregarding custom and politics with ruthless efficiency.